Where We Make You Smile Inside and Out! Parkway Dentistry offers comprehensive, family-oriented dental care that will have you smiling. You and your family deserve leading-edge treatments that are delivered in a welcoming and comfortable environment - where you are the top priority! Welcome to our Brantford Dental Practice! Dr. Pio Modi, Dr. Usman Malik, and Dr. Ryan Margel are experienced dentists who serve the Brantford community. They're also compassionate and kind. Along with our expert dental team, we'll listen to your goals and create a treatment plan that improves your oral health. We want to know what you desire so we can help you achieve your smile dreams! We emphasize preventive care and patient education, to help you keep your teeth for life. When more intensive care is needed, we recommend a conservative approach that delivers the strongest, longest-lasting results. We want you to attain optimal dental health, and to be engaged and excited about caring for your smile, too! The best dental experience, the happiest patients, and the healthiest smiles all begin with communication. Everyone at Parkway Dentistry wants you to attain and keep a healthy, confidence-filled smile, and we’ll take the time to learn what you desire from dental care. Our team genuinely wants to know your dental goals and concerns. At your initial comprehensive exam and consultation, we’ll encourage you to talk about what you want. We’ll also ask about your concerns, discuss your overall health, and ask how you feel about your smile. Your dentist will develop a treatment plan that addresses everything we’ve talked about. We’ll review the plan with you, and explain the recommendations, how everything works, and what to expect. We’ll also talk about treatment options and financials. It’s essential for you to have the information you need to make an educated decision about your smile care! Our doctors and team members are experienced professionals. Each year we complete many hours of continuing education to ensure we’re offering the best, most advanced and leading-edge care. Our practice uses state-of-the-art technology, too. We never forget, though, that we’re not fixing teeth; we’re treating a person with unique clinical and personal concerns. People-Centred: We believe in caring for our patients as we would a family member: compassionately and ethically. You are important to each of us. We’ll greet you by name, remember your smile, and look forward to your visits as a time to catch up with a friend. We hope you feel the same! Comfort: We’ve created a warm and welcoming spa-like environment, where you’ll feel pampered and relaxed. We offer fresh fruit, smoothies, and hot and cold drinks. In our operatories, you’ll be offered warm towels, blankets, pillows, and you’re welcome to watch television during your visit. Education: We want you to understand what’s happening in your mouth, how that affects your body, and vice versa. We also want you to be empowered to take control of your oral and overall health. Our doctors and team members will spend a lot of time teaching and working with you to find the home-care techniques and products that work with your needs and hobbies. We’ll also support and encourage you to develop healthy habits and learn to make good nutritional decisions. Please contact us with any of your questions about our services, or schedule an appointment for a comprehensive exam and consultation. We welcome patients from throughout the area, and look forward to meeting you and your family. 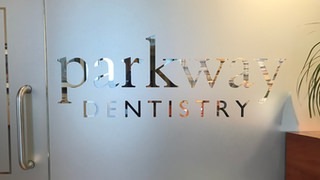 It will be the pleasure of everyone at Parkway Dentistry to start you on the path to a lifetime of great oral health and smiles you love to share. Call and schedule a visit today! If you've lost a tooth (or a few teeth) due to injury or disease, dental implants can rejuvenate both your smile and your oral health. Permanent implants are more stable than the temporary ones, and feel much more like natural teeth. One of the biggest concerns that our patients have, is a fear of doing dental treatment but at Parkway Dentistry we will help you to overcome any fears you may have by offering sedation options that suit your specific needs. Your smile is one of your most important features you have. 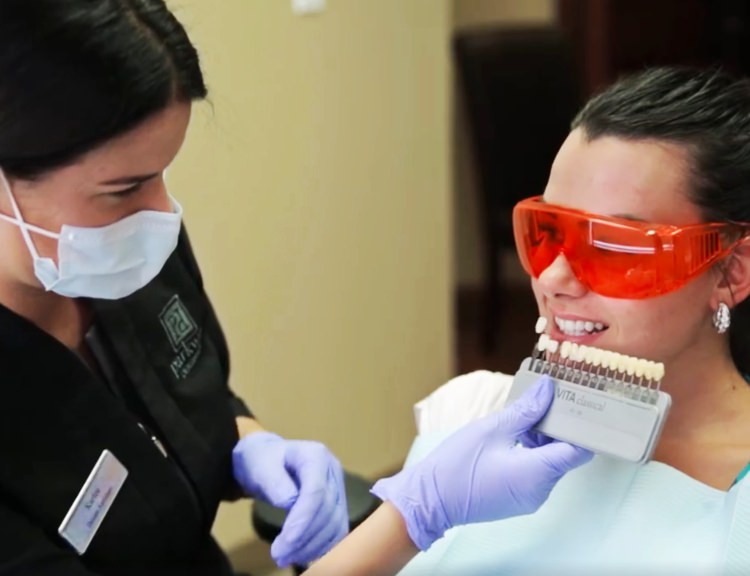 Dentistry is continually evolving, and with a variety of advanced treatment options, achieving a beautiful, healthy, aesthetic smile is made easy for patients of all ages. Temporomandibular dysfunction includes a range of jaw disorders affecting jaw movement and problems with the joints themselves. We'll examine your jaw and if required provide you with corrective jaw surgery. Veneers help correct gaps, chips, and cleans stains and misshapen teeth. Veneers easily correct teeth imperfections and give you a more confident, beautiful smile. They look natural and are perfect for patients wanting to make minor adjustments to the look and feel of their smile. A crown is a covering that sits over the top of the tooth, creating a hard surface to protect, cover, seal, and strengthen it. Crowns are used in many different scenarios, as they are effective in helping protect teeth for a lifetime. The health of your teeth and mouth is very important to the well-being of your entire body, and while routine brushing and flossing at home is necessary to keep your smile looking its best, visiting Parkway Dentistry for a comprehensive exam and cleaning is essential. Spa-Dent is a 15 minute professional teeth whitening system that is safe, effective and virtually pain-free. This whitening system will make your teeth 2 - 8 shades whiter in a fraction of the time and cost of other in-office whitening and dental systems or take home trays.